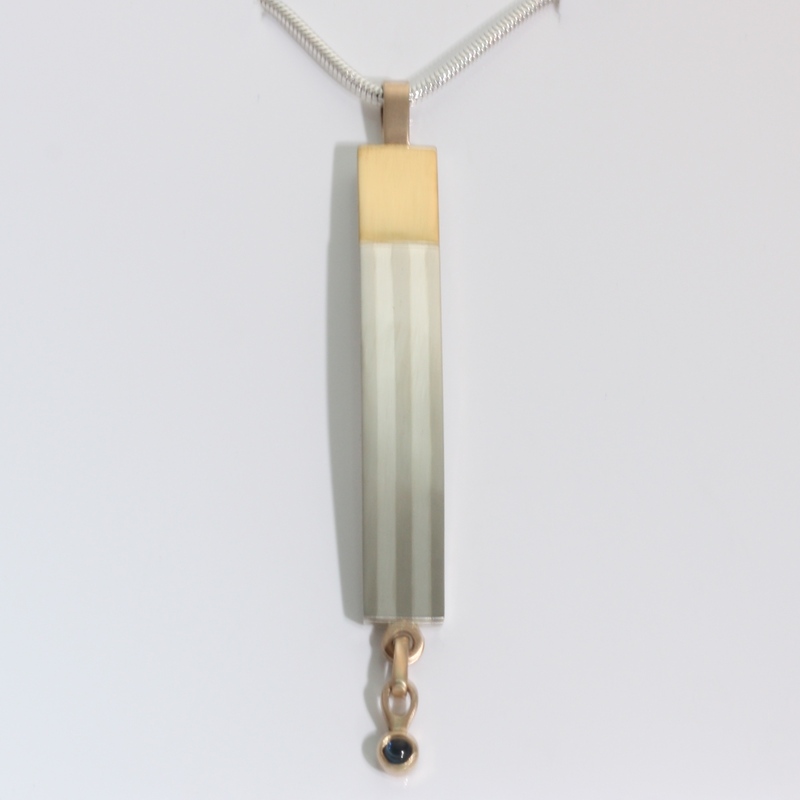 Long Bar Pendant with a dangling dark blue sapphire. 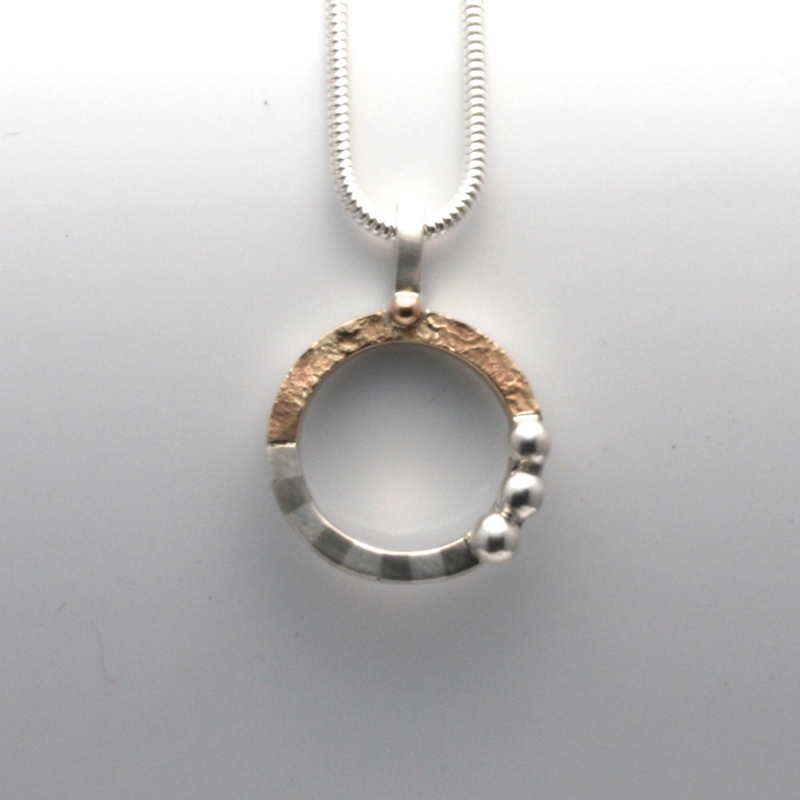 The Pendant is fabricated in sterling silver, 14k & 22k gold. A fine hand fabricated striped pattern contrast with the 22k gold, the bale and setting is 14k. 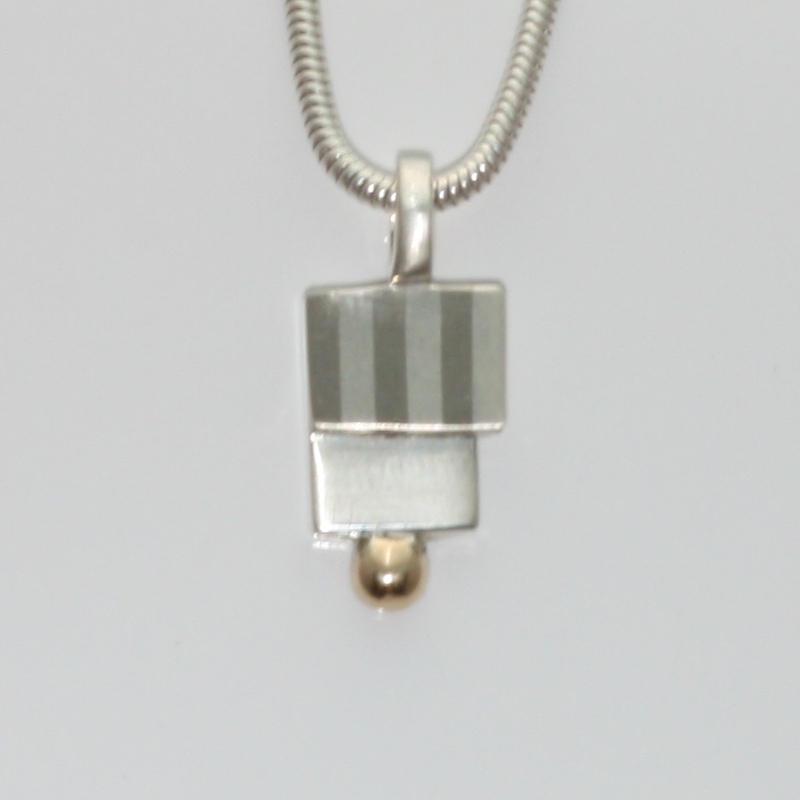 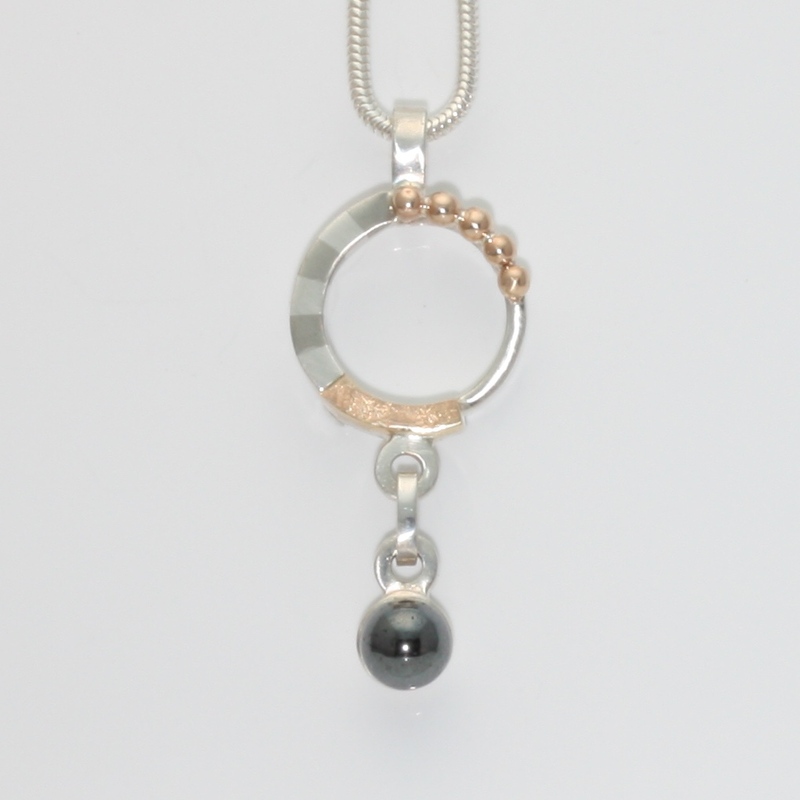 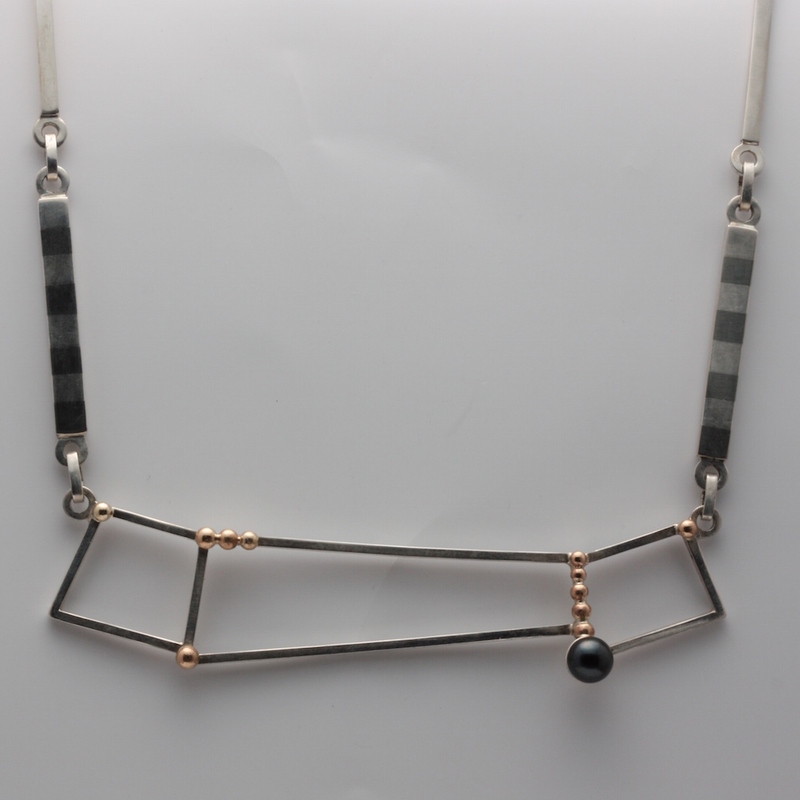 The pendant comes with your choice of a 16″, 18″ or 20″ chain.